The needs of twenty first century society are radically changing, but our education system has not caught up. We want to change that. We see the need to overhaul the way we educate so that our young people can meet the demands of a knowledge-based society. We think that developing how students learn will fuel new innovation, opportunities, and help all students fulfil their potential. Bridge21 is an education programme based in Trinity College Dublin. We offer a new model of learning, that can be adapted for use in Irish secondary schools. A schools programme to scale and adapt our learning model for use in Irish secondary schools nationwide. 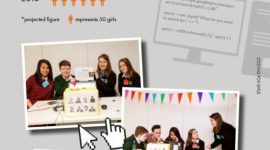 The Bridge21 Transition Year programme, based in Oriel House – a team-based experience for young people to explore learning through technology. A learning and research centre in Oriel House, Trinity College Dublin, to innovate, evaluate and refine 21st century learning methodologies. We have seen the power of our model in action. We know it can change how students learn and engage with education. Now we want to help spread what works and transform the way we teach and learn. We know it is powerful. Teamwork is at the core of how we operate. 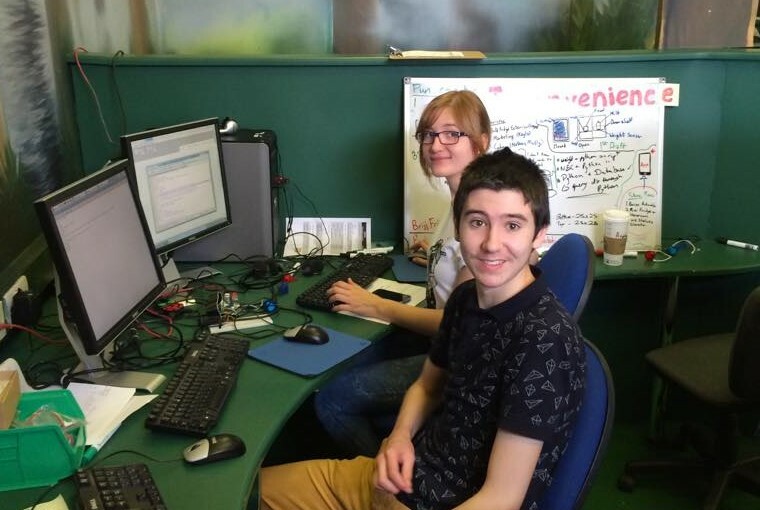 By collaborating with others, on digital projects, students learn essential life skills, including communication, problem solving, and project planning- all critical components for a successful knowledge-based economy. Good leadership drives good change. By developing leadership competencies in young people we are developing their confidence and capacity to take ownership of their own learning and life choices. We hack. We experiment. We like to play. We believe learning should be fun, and useful. Through team projects students get a chance to play with everyday resources and test innovative ideas. By hacking Wii remotes for instance, or developing digital animations they have a chance to let their creativity loose. We mediate learning through technology. Today’s students are digital natives. They are constantly plugged in and tuned in. We want to bring that knowledge into their formal learning environments and enhance it through their educational experiences. We engage mentors and support peer-to-peer learning. Bridge21 is supported by a wide team of passionate and engaged volunteer mentors and teachers who in turn support young people to realise their own capacities and potential. This is win-win territory where students, mentors and teachers learn and grow together. It too is powerful. We promote learning by doing. It is all hands on deck in Bridge21. As much as we like to debate, we also love to do. Our model is informed by best practice and current research. But we don’t want to rely on our opinion. We actively seek out and engage academic researchers at home and abroad to investigate and validate our methodologies. We regularly share our finding too, through academic journals and conference presentations. We even host our own symposia. We lend a hand, through partnership. We support. If a school is up for change, we’re there. We are willing to travel a shared journey with principals, teachers, students and parents to bring out the best in our education system. We also partner with other youth organisations, such as ReachOut to help create exciting learning opportunities for young people. – Kim, transition year student. – Teacher, CBS Westland Row, D2. – Teacher, Our Lady of Mercy, Drimnagh, D12. – Teacher, Coláiste Bríde, Clondalkin, D22.